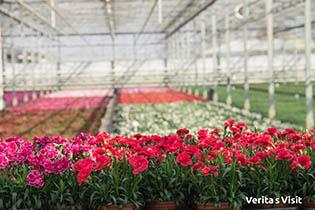 Holland is well known for its greenhouses and the export of fruit, vegetables and flowers. 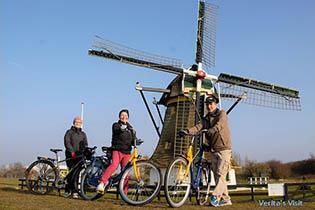 In this bike tour (25 to 40 km) we cycle through the ultimate Dutch landscape of polders, canals and windmills and visit a greenhouse. Price: from € 38,- p.p. In the right season we can taste grapes, pick strawberries and buy flowers & vegetables en route or even see the beautiful Floating Flower Parade Westland. On our way back we head in direction of the beach. 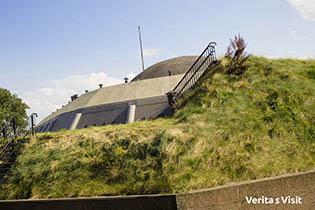 In the Westland and especially near the coastline there are still some traces left of the WWII Atlantik Wall. Other special features in this fascinating area in between Rotterdam and The Hague which we pass on the way are the Sand Engine, a Dutch innovation in coastal management and the Maeslantkering, the Dutch Delta works in Hoek van Holland. 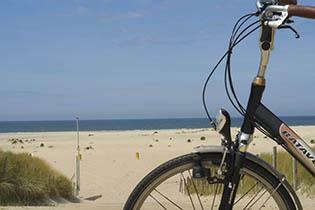 Note: This bike tour can also be done from The Hague or Naaldwijk.